« Spraying bedliner protectant on underside of mower deck? If you are new to the lawn care business and are finding it tough to get new customers, one of the things you can do is sign up with your local town to mow overgrown properties when they get complaints. 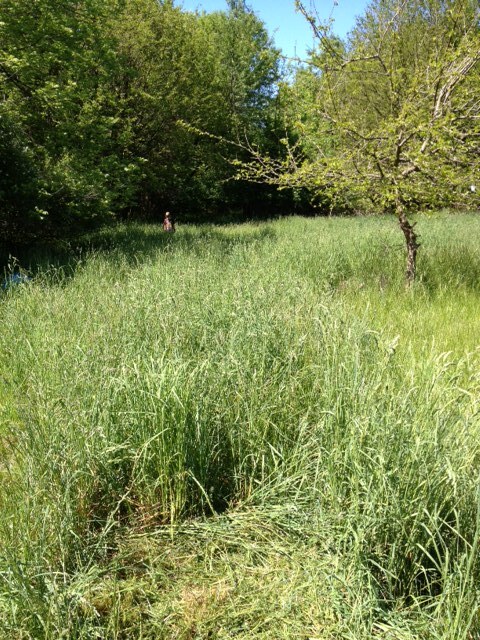 In this discussion from the Gopher Lawn Care Business Forum, we hear from one entrepreneur who did just that and needed a little advice on how to tackle very tall grass mowing jobs. A second lawn care business owner responded “how big is the property? Is there a reason why the grass is so high? Does the city not pay on time or at all and previous guy quit? These are some of the questions I would be asking. To do the job, I’d try a walk behind trimmer unit like the D.R trimmer with a metal blade attachment and tackle it a section at a time and rake it up. Not much you can do if the property has been let go. 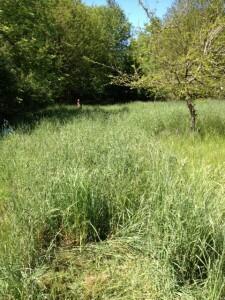 I mowed one property a month ago where the grass was chest high. To do the job I just used my ZTR set the deck at the highest setting and mowed it. Then went back with a second pass set at 3″. I made $100 in about 45 minutes doing that job. A third shared “I have actually mowed many of these these untamed lawns this year. I normally use my walk behind at the highest setting. You will need to go over it at least 3-4 times in different directions if you are trying to bring the yard back to life or it will just clump up and smoother out the grass. Here is a word of advise, before you even start cutting walk the property thoroughly with your trimmer and clear a 1-2 ft section around every log, brick, hole etc that you don’t want to run your mower over with. The biggest thing to remember when bidding this is that it’s a risky job to do because you are very likely to hit something and bend a shaft or even worse if you miss something. Also figure the time to perform the maintenance when completed with the job (cleaning equipment, sharping blades, etc). A fourth added “I cut some pretty tall grass this year and it went better than expected with a self propelled, mulching - 1 pass. If the grass was like mine, I’m sure your equipment will do just fine. It was mostly dry and full of weeds, nothing lush. It doesn’t take some special equipment to get a job done. Yeah I may have had to resharpen the lawn mower blades but I have to anyway. Just because it’s not what you are used to doing doesn’t mean you should let the job go. This entry was posted on Friday, February 2nd, 2018 at 7:37 pm	and is filed under How to Estimate - Services To Offer, How to Estimate Jobs, Lawn Care Business, Lawn Care Customers, Lawn Mowing, Mowing, Pricing. You can follow any responses to this entry through the RSS 2.0 feed. You can leave a response, or trackback from your own site.